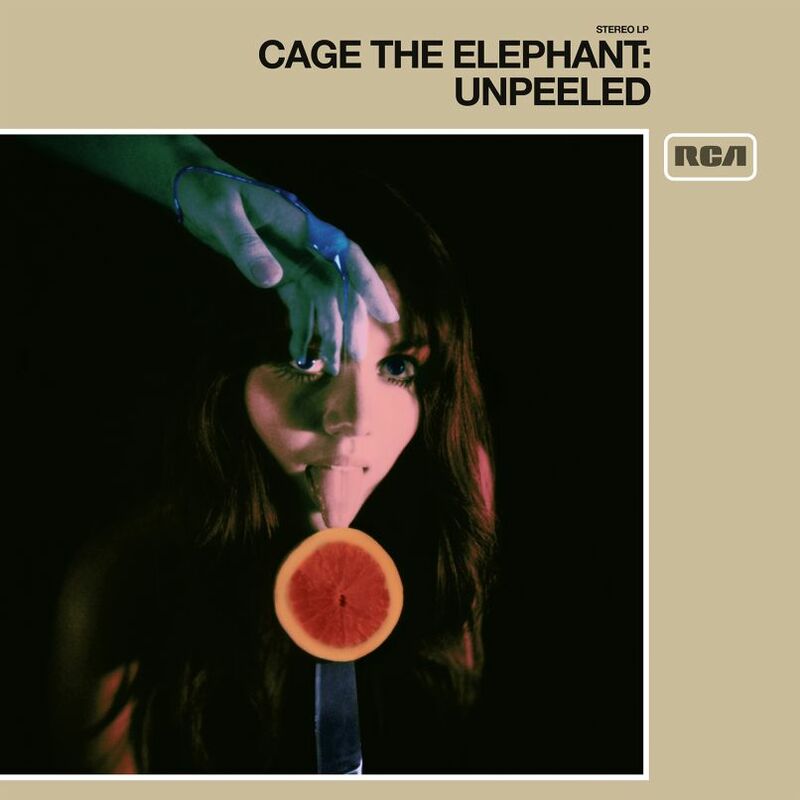 Album Review: Cage The Elephant - Unpeeled - GENRE IS DEAD! Kentucky alt-rockers Cage the Elephant have built up a reputation as wild, high energy performers since they dropped their debut nine years ago. They switched things up earlier this year on their “acoustic tour,” but as their latest live album, Unpeeled, shows they keep the excitement flowing even during stripped back sets. Inspired by their acoustic tour of the same name, the 21-track album features newly arranged versions of hits and fan favorites. With a string section joining them, the band gives us mellow, calming versions of songs like “Spiderhead,” “Cold Cold Cold,” and “Take it Or Leave It.” Sometimes the strings give their tunes a folksy air; other times it transforms the song into something beautiful. Songs like “Shake Me Down,” “Too Late to Say Goodbye,” and “Right Before My Eyes” sound gorgeous with the swelling string section. The new addition adds a haunting vibe on “Too Late to Say Goodbye,” while “How Are You True” sounds heartbreaking. Just because we get a softer side of the band doesn’t mean the mood is dull. “Punching Bag” still makes you want to get up and dance, “Aberdeen,” is bursting with energy and “Come a Little Closer” keeps its playful mood. Each song keeps the punch and attitude of the original albeit with different instrumentation. Somehow the band manages to sustain their manic energy during this stripped back set. There’s never a dull moment in the album. You can even picture frontman Matt Shultz still grooving away to these tunes and you can’t help but dance along with him. As a bonus, the band includes three cover songs: “Whole Wide World,” “Instant Crush,” and “Golden Brown.” The band laces each track with their hyper attitude and flair; they easily fit into their set. Unfortunately, “Instant Crush” is a letdown. Shultz’s vocals don’t work all that well on this Daft Punk cover and the whole thing sounds disjointed. Then again did we really think an acoustic version of Daft Punk would work? While the album is good, it doesn’t feel like a live experience. Taken from various shows on the tour it sounds more like studio recordings. It doesn’t have the same rawness and banter of their shows, best heard on Live at the Vic. What’s most confusing is how the crowd noises filter in and out. For the most part, you can’t hear them, but on certain songs, they’ll pop up. You don’t necessarily need the roar of the crowd to make a good live album, but since it’s not consistent it’s distracting and takes you out of the experience. So is Unpeeled worth getting? Definitely. The band breathes new life into songs they’ve played hundreds of times making them fresh. It’s a nice change from the standard live album where the only difference is the inclusion of their new songs. It also shows how versatile their music is and it doesn’t hurt that they sound great and jive well with the string section. It’s a different, mellow experience from their regular live shows, but that doesn’t mean it lacks energy or passion. No matter what setting they’re in Cage the Elephant never fails to deliver. Pingback:Cage The Elephant Will Release New Song On Thursday - GENRE IS DEAD!